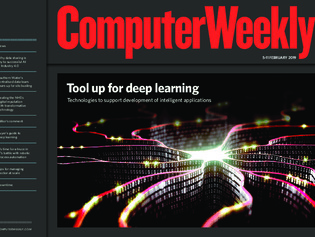 In this week’s Computer Weekly, we look at the key technologies needed to support deep learning and artificial intelligence applications in your organisation. We hear about Southern Water’s data management overhaul and the benefits achieved from centralizing its data specialists. And we examine best practice in managing large-scale Docker implementations. Although machines learn from humans, nobody does the same job in the same way – so it makes sense to identify best practices to ensure business is using AI effectively. NHS Business Services Authority chief digital officer Darren Curry talks about using technology to change people’s lives, developing accessible services and transforming the health service. IT departments are at loggerheads with business-led robotic process automation (RPA) teams, but there are benefits to playing nice.